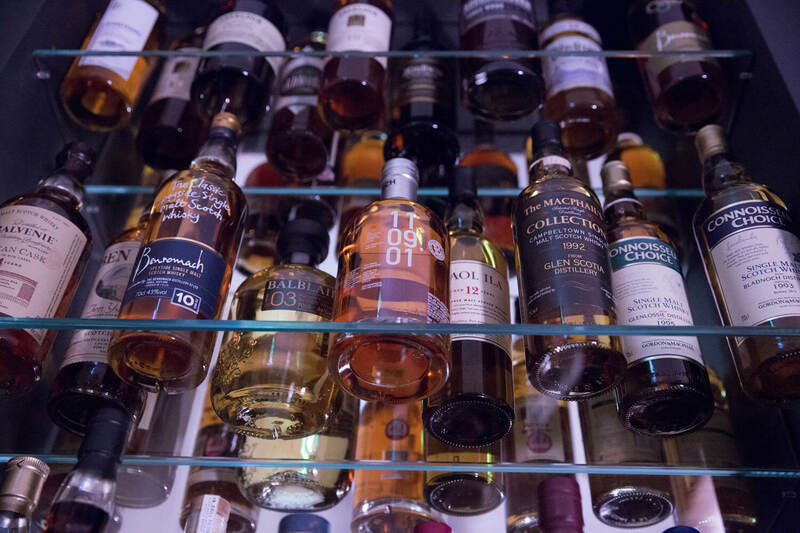 With over 70 whiskies to choose from at the Bar in Muckrach Country House Hotel we have decided to select a whisky of month to feature. July’s whisky of the month is a Linkwood 15 year old. It is a Speyside whisky that is an excellent all round malt…..anytime, any place!!! It is an excellent style if you were to be introduced to malt whisky. Linkwood distillery is situated on the outskirts of Elgin drawing its water from the springs of Millbuies Loch, an hour away from Muckrach Country House Hotel. It was built in 1821 by Peter Brown and is named after Linkwood House. Pronounced sherry aromas along with hints of ripe summer berries, offering everything that Speyside style whisky is famous for. Enjoy a wee dram in the Bar at Muckrach.